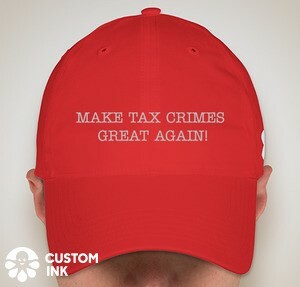 Although not a tax crimes case and, indeed, not a criminal case at all, a recent SEC civil case is interesting for the criminal tax lawyer in these days of greater complexity for criminal tax trials. In SEC v. Koenig, 557 F.3d 736 (7th Cir. 2009), here, the SEC sued the former CFO of Waste Management, Inc. for cooking the books of WMI, thereby defrauding investors and obtaining bonuses which he would not have received had earnings been properly stated. The decision covers a number of points that only a trial lawyer or judge would love, but I focus here on the length of trial issue. Practitioners tend to focus principally on civil and criminal tax penalties when trying to discourage clients (taxpayers or promoters) from aggressive tax shelter activity. For the well counseled and level headed client, these penalties are often sufficient. These penalties have sometimes not been decisive in discouraging the activity, particularly when as imagined in KPMG, the civil penalties are factored in as just a cost of doing business. There are other discouragers, though. Jay Soled, Professor at Rutgers, has published an article on a topic that should be dear to our tax shelter and tax shelter promoter clients hearts. The article is titled, Tax Shelter Malpractice Cases and Their Implications for Tax Compliance, published at 58 Am. U. L. Rev. 267 (2009). Professor Soled makes the case that these malpractice cases serve to punish professional promoters' (lawyers, accountants, etc.) inappropriate tax shelter behavior and, as a result, discourage future inappropriate tax shelter behavior. He thus argues for more, not less, malpractice claims and suits, as a key part of the overall system to discourage this activity so clearly damaging to a civilized socity. In the article, Professor Soled also discusses (p. 305) the new whistleblower regime offering substantial rewards that should have a discouraging effect on abusive tax shelters, because outliers will have a financial incentive to disclose to the IRS. In the latter regard, decision makers in corporations with significant tax departments need to be wary of incentivizing an employee to go to the IRS. While whistleblowers will not necessarily increase the cost to taxpayers upon whom the whistle is blown, they will increase the likelihood of being caught and, possibly, even the bottom-line cost if the whistleblowers deliver up more solid information upon which the IRS can assert the accuracy related or even civil fraud penalty. UBS U.S. Clients Sue in Switzerland -- Dumb or Smart? The New York Times reported today that some "wealthy" U.S. taxpayers are suing UBS and Switzerland's Financial regulators to prevent the disclosure to the IRS of their identities. I have previously blogged here the truism that behavior of this general genre (steps to hide the ball) can refresh the six-year criminal statute of limitations. Of course, given the fact that these taxpayers' behavior in keeping the money offshore and their identities hidden was continuing up to this point, the statute of limitatations is not a problem for the Government for the more recent years and, in any event, there might well be other acts that refreshed the statute of limitations for earlier years. Moreover, the mere filing of the suit could be a separate act of tax obstruction under Section 7212 and/or, if in concert as it apparently was, a Klein conspiracy, and each further act (say, e.g. pleading), would be an overt act as well as an act refreshing statutes of limitations on those crimes and earlier crimes. And, of course, taking this type of further evasive and delaying action might well disqualify these gents and, presumably, ladies from being able to strike a deal without opening up years earlier than, say, 6 years ago. In trials of tax shelter promoters, the Government may charge tax evasion with respect to unindicted taxpayers who bought into the allegedly abusive tax shelters and claimed their benefits on their tax returns. The Government so charged in the mass KPMG criminal trial that came in like a lion and recently concluded with a whimper after 13 of the original 19 defendants were dismissed for prosecutorial abuse. An essential element of tax evasion is, in traditional formulation, a "tax due and owing." I refer to this element as tax due. A tax due is not proved in the criminal case in chief simply by showing some fraudulent item. The taxpayer's complete tax picture (nonfraudulent income, deductions and credits) must be shown in order to derive the tax due for that taxpayer. When the taxpayer is not a defendant (as in the KPMG case), the Government should encounter hearsay and Confrontation Clause problems in trying to meet the tax due element simply from the missing taxpayer's return and documents derivative from the returns return (such as RARs and Closing Agreements where, for civil tax purposes, the taxpayers settle the civil case as to the shelter). I discuss the issues in a memorandum that my readers interested in the subject may download here. After some build up, this week the Government went public with its heavy hammer to UBS -- I resist the temptation to say private parts, but that is an apt metaphor -- for its role in assisting United States taxpayers to underpay their taxes. For years, UBS actively promoted its services to U.S. taxpayers which had the intended bottom-line effect under Switzerland's secrecy laws and various other steps to insure secrecy to hide income that was subject to U.S. The expectation was that U.S. taxpayers participating in this service did not voluntarily report and income from these accounts and pay the resulting tax to the U.S. and equally important to UBS's participation, that UBS would earn lucrative fees for facilitating the U.S. tax evasion. In addition to the U.S. taxpayers not meeting their obligations, UBS failed in its obligations to report to the U.S. As a backstop to the integrity of the U.S. tax system, IRS regulations require foreign banks to withhold and pay to the IRS 30% of income received from U.S. investments maintained in foreign financial accounts. This system, if UBS had complied, would have identified the U.S. taxpayers and resulted in payment of much, if not all, of the resulting taxes. UBS did not comply with this system because it claimed the benefit of being a "Qualified Intermediary" under a U.S. program that requires the foreign bank to identify internally their U.S. and non-U.S. customers and not withhold as to the non-U.S. customers whom they are not required to identify. UBS entered a formal QI agreement with the IRS in 2001 but did not comply with the requirements -- specifically it did not comply with the obligation to identify and to withhold and pay over. The following are key events this week. 1. On Wednesday, February 18, the Government and UBS announced their a deferred agreement that includes the following: (i) admission of misbehavior; (ii) agreement to cease the misbehavior and impose elevated standards for cross-border U.S. business; (iii) that UBS pay the U.S. $780,000,000 in disgorgement and tax related payments (including the $200,000,000 for the SEC settlement noted in paragraph 2 below), and that UBS turn over certain information regarding a limited set of U.S. taxpayers; (iv) further cooperation and disclosure consistent with an order of the regulating agency in Switzerland; and (v) agreement to the filing of a criminal information charging conspiracy to defraud (Klein conspiracy) with respect to the misbehavior; this information will be dismissed if UBS complies with the DPA and, in the interim, UBS will engage at its expense an external auditor acceptable to the U.S. who will monitor and make reports as to its compliance. The agreement notes that it could have been worse for UBS: "In recognition of the current international financial crisis and after consultation with the Federal Reserve Bank of New York, the Government will forgo additional penalties." I write this news item particularly for the students in the course in Tax Fraud and Money Laundering that Larry Campagna and I teach at the University of Houston School of Law. We use our Tax Crimes book (co-authored with Steve Johnson and Scott Schumacher) in the course. On the evening of 2/18/2009, we covered chapter 4 which dealt with methods of proof (direct method and indirect methods such as net worth and bank deposits / cash expenditures methods). On 2/18/2009, the Fifth Circuit decided United States v. Adams (No. 07-60926). The panel deciding the case designated the case as not for publication and nonprecedential, but don't let that dissuade you from reading and savoring the case. All these designations mean is that (1) the opinion does not get published in the West F.3d case reports and (2) the opinion does not automatically bind another panel in the Fifth Circuit or district judge in the Fifth Circuit in another case. The Federal Rules of Appellate Procedure permit the opinion to be cited (subject to providing the court a copy of the opinion because it is not published) and while not precedential (in the binding sense), the opinion can be persuasive within and without the circuit to the extent that it is persuasive in its reasoning. I think this case is a doozy, at least for students because it reviews many of the concepts we have reviewed in the first four chapters of the book. I am not saying it was necessarily correctly decided (doubt as to its correctness as a precedent may be what compelled the nonprecedential designation); I am saying it is interesting and a good read to test a student's understanding of the matters covered. Those wishing a more detailed discussion can download it here, in the blog itself I will try to summarize some of the key features of the case. 3. In the course of meandering around the key holding based on the jurat on the 1040X, the Court was careful to say that the case was not an evasion case (at least not a charged evasion case). Although the Court did not say this explicitly, I hope you can see that, as the case is reported, the Government could have nailed the defendant for evasion on the 1040X, because he had not corrected the Schedule C problem in the 1040X thus carrying forward his understatement of tax liability. For evasion, you will recall, the Government has to prove willfulness (which, of course, it did in convicting Adams in the trial below), a tax due and owing (a simple mathematical calculation by adding the omitted gross receipts to income which it proved below and calculating the tax), and an affirmative act of evasion (there in spades in the facts). Instead, the Government chose to indict for tax perjury (Section 7206(1)), which requires a flat out bald-faced lie. In the mind of the majority of the panel, the defendant did not make a flat out bald faced lie because of the wording of jurat to which he was responding when he signed under penalty of perjury. As narrowly construed by the majority on the panel, the jurat did not cover items gratuitously attached to the 1040X but not relevant to the items being corrected by the 1040X. As noted, the 1040X did not correct the Schedule C and thus, under this notion, it was gratuitous and not required. 4. For another year, where the same type understatement on Schedule C was involved, the Court sustained the conviction because the charge was for the original 1040; thus, the Schedule C was necessary for the return and clearly covered by the jurat. In the course of so holding, the Court has good discussions of the indirect method of proving the understatement of gross receipts and how the IRS's investigation cleared the problems inherent indirect methods (identifying taxable sources and reasonably excluding nontaxable sources (including the standard opening cash hoard claim)). 5. Finally, the court dealt with issues arising from the IRS Agent's testimony. You will recall that the Agent can testify as a summary witness or expert or something in between. This Agent made the mistake of testifying that the defendant acted willfully -- a determination that is within the province of the jury alone. Defendant's counsel objected at trial, the court sustained the objection and gave a curative instruction to the jury to the effect that the jury alone decided the issue of willfulness and that, accordingly, the jury should ignore the Agent's testimony on that point. The Fifth Circuit panel held that reversible error had not occurred because of the curative instruction. 6. The dissenting judge pungently attacked the majority's forced analysis narrowly interpreting the jurat on the 1040X. Bottom line, it seems to me that the better holding would have been that, to the extent the 1040X did not correct the Schedule C misstatement, it is in effect carried forward by the 1040X. In other words, the 1040X is in effect a republication of the 1040 except as corrected. The Schedule C was not corrected. The 1040X included a lie by incorporation. I do understand the majority's narrow interpretation of the jurat, but think it was just too narrow. All in all this is a good case for the student to test his or her understanding of these important areas addressed by the panel. A decision by the Eight Circuit reminds us of the importance of focusing on the last act in furtherance of a tax crime is committed. In Sansone v. United States, 380 U.S. 343, 354 (1965), the Court stated that the crime of tax evasion is "complete as soon as the false and fraudulent understatement of taxes . . . was filed." That might suggest that any measureme of a time frame for the crime would commence on the return filing date. However, in United States v. Beacon Brass Co., Inc., 344 U.S. 43 (1952), the Supreme Court held that the date of filing a fraudulent return, while normally the date from which to measure the start of the statute of limitations for criminal prosecution for evasion, is not necessarily the last act in furtherance of the evasion. Any subesequent act -- such as making false statements to an agent in an audit in order to further hide the evasion in the return -- can refresh the statute of limitations on the original evasion (as well as constitute a separate crime under 18 USC 1001). In Beacon Brass, that was not a good result because the statute of limitations on the original fraudulent return had otherwise expired. In United States v. Barker, 556 F.3d 682 (8th Cir. 2009), here, the Court applied that concept in the context of determining which Sentencing Guidelines applied to the offense of conviction. The Guidelines when the fraudulent return was filed were more lenient than the later Guidelines when the defendant committed a further evasive act. Although not citing Beacon Brass, the Court held under the same concept, which the court called the continuing offense doctrine, that the later book applied. In Barker, that meant that the later, more stringent Guidelines regime applied. The Court of Appeals remanded the case for calculations under those more stringent Guidelines and reconsideration of the sentence giving proper regard to those calculations. Barker may be able to avoid or mitigate a greater sentence upon the remand. Under the post-Booker regime which gives the sentencing judge leeway to fashion an appropriate sentence even if the sentence varies from the result indicated by the Guidelines calculation. Indeed, if in imposing the original sentence, the judge made a determination of an appropriate sentence (albeit without the "guidance" of the appopriate Guidelines calculation), it may well be that the original sentence was not necessarily influenced materially by the calculation under the more lenient Guidelines. In its recent decision in Nelson v.United States, 555 U.S. 350 (2009), here, the Court reminded the district courts that they are not to presume that the Guidelines calculations are reasonable, but must make the more refined, difficult, and tailored sentence determinations required by the statute. Hence, to repeat, if the district judge did that the first time, maybe he'll go there again. As a side note, those who delight in this nuance that the sentencing judge may impose the same sentence when the Guidelines have been misapplied may find sheer joy in today's Seventh Circuit decision in United States v. England, 604 F.3d 460 (7th Cir. 2009), here (see particularly the last paragraph, although the whole opinion is marvelous). UPDATE AS OF MAY 26 2009: The House version of this bill did not include the expansion of money laundering for tax crimes and the House prevailed in conference. The proposal is thus defeated for now. Senator Grassley, however, indicated that he will pursue this issue "at every available opportunity." The transportation money laundering provision does not include tax evasion as a specified unlawful activity (SUA), so moving money around related to just tax evasion is not per se a crime. (All right, if the Government chooses to claim that the tax evasion is effected in part by the mails or by the wires (which it almost invariably is, the Government can claim that the tax evasion invokes the mail fraud and wire fraud predicate acts which are SUA). From an exercise of prosecutorial discretion, the Government has historically not charged mail fraud and wire fraud when just garden-variety tax evasion is involved (see Tax Division Directive No. 128), even though the Government has done just that in some prominent cases (e.g., United States v. Yusuf, 536 F.3d 178 (3d Cir. 2008), cert. pending by petition for cert filed 1/30/2009). Amending the Money Laundering statute to apply to tax evasion. Sixth, subsection 2(g) of the Act would add a new provision to the international money laundering offense, section 1956(a)(2)(A) of Title 18, United States Code, to make it applicable to tax evasion. Due to the rapid globalization of the financial system in the last two decades and the development of offshore banking centers, we have seen the development of a troubling growth of income tax evasion that exploits the international funds transfer mechanisms and these offshore centers. In many cases, these tax evasion schemes utilize the same methods and mechanisms as money laundering schemes which involve criminal proceeds. In some, but not all cases, the offshore movement of funds for the purpose of evading income taxes can contribute to the development of offshore centers, and businesses operated by international criminal organizations, that facilitate the laundering of proceeds of drug trafficking and other serious offenses. These activities represent a threat to our financial system beyond the evasion of income taxes. The proposed amendment to section 1956(a)(2)(A) will address this threat by criminalizing the transfer of funds into or out of the United States with the intent to engage in conduct constituting a violation of our income tax laws. The amendment will not only allow the government to bring civil forfeiture actions against tax evasion funds sent abroad, but will also help U.S. prosecutors enforce forfeiture orders for foreign tax offenses. "The Biggest Tax Fraud Case in History." That's how the Government touted its case involving tax shelters promoted by KPMG. The defendants in the case included KPMG partners and outside professionals. The trial judge substantially took the wind out of the Government's sails when he dismissed 13 KPMG defendants because the Government had violated their constitutional rights by forcing KPMG to withdraw payment of their attorneys fees. The Second Circuit affirmed in an opinion following Judge Kaplan's lead excoriating the Government. For this reason alone, the case will be long remembered as a major embarrassment to the Government. A footnote somewhere will be what happened to the 4 defendants left standing (2 had earlier pled guilty). They went to trial this past fall. The Government skinnied down its case, but left the guts of the original case (albeit with fewer charges) -- (1) a conspiracy with two objects (i) to violate the law (an offense conspiracy) and/or (ii) a defraud conspiracy to impair or impede the lawful functions of the IRS (a Klein conspiracy), and (2) substantive counts of tax evasion with respect to certain tax returns where the benefit of the shelters were claimed. In what was to me a stunning outcome, the jury acquitted one defendant on all charges, acquitted the other defendants on the conspiracy count, and convicted the other defendants on most of the substantive counts. The outcome is very bad for the convicted defendants, but I want to comment here briefly -- even cryptically -- on the disconnect I perceive in the jury verdict of acquittal on the conspiracy count with the guilty verdict on the substantive counts. First, the quantum of proof for conviction of the offense conspiracy and the substantive counts is the same -- intentional violation of a known legal duty. By finding that these actors had that level of intent for the substantive counts, it strikes me as odd that the jurors rejected an offense conspiracy where the only additional element is that the defendants joined together to commit the substantive offenses. They clearly were joint actors with respect to the tax shelters involved. Hence, it strikes me that the jury must have been tremendously confused about what they were doing. Perhaps the jury should have convicted the defendants on both the offense conspiracy and the underlying offenses; but, on the other hand, perhaps the jury should have acquitted the defendants of both. Second, focusing on the Klein conspiracy of which the defendants were acquitted, the Klein conspiracy as imagined by the Government requires nothing more than some type of joint activity -- even wholly legal activity -- intended to impair or impede the IRS in its duties. Judge Kozinski of the Ninth Circuit rejected that notion in the Caldwell case, but the Government continues to assert it elsewhere hoping that it will gain traction. Despite ample evidence in the case that the defendants took action to lower the audit profiles of the tax shelter investors, the jury verdict acquitting the defendants of the Klein conspiracy must mean that they are firmly in Judge Kozinski's camp on this issue (probably more viscerally than cerebrally). Finally, it is interesting to note that the case that started out with such great fanfare ended up with a whimper -- so much so that when DOJ Tax was touting its accomplishments during the George W. Bush years, it did not even mention the case at all or its extorted deferred prosecution agreement with KPMG. Disclosure: I represented one of the dismissed defendants in the case. Since my client managed to get out of the Government's line of fire, still I formulated my impressions of the Government's extravagant claims while in a combative mode. My ruminations above may not be wholly objective. The Government has filed its appellate brief in the Snipes case. You will remember that Wesley Snipes was acquitted of a Klein conspiracy (how exactly do you get acquitted of a Klein conspiracy?) and false claims, but was convicted of the ho-hum offense of failure to file tax returns for multiple (3) years. Failure to file is a misdemeanor with a maximum 1 year sentence per count / year. The district judge sentenced him to the maximum of 3 years, stacking each of the 3 years of conviction. Snipes did not appreciate the conviction or the sentence. He appealed. The Government has filed its responsive brief, including raising its own protective issue on appeal that the Judge should have imposed the sophisticated means enhancement (how exactly do you avoid sophisticated means in any tax crime of any complexity other than skimming cash receipts and keepting them in the attic?). At any rate, here is the Government brief for what it is worth. Is the Civil Audit a Set Up? The Internal Revenue Manual directs revenue agents conducting a civil examination to refer the case to the Criminal Investigation branch ("CI") of the IRS when there is a "firm indication of fraud." Transfer of the matter to CI means that contact thereafter while there is still fraud investigation potential will be by a CI "Special Agent" who will read the taxpayer the modified Miranda warnings, including the right not to answer questions and the right to consult with an attorney. (Taxpayers are given modified Miranda warnings only because full-blown Miranda warnings are required only if the person is in the potentially coercive setting of custody, which is rarely the case in tax investigations.) Once the Special Agent is on the scene and surfaces, the taxpayer will be on notice that he has rights that he must consider exercising. Sometimes a civil agent finding such indications of fraud may believe that he should pursue the matter further and either is oblivious to firm indications of fraud or just ignores them. Some civil agents just want to be more involved in the process of nailing the bad guy, and they will be out of the loop once the case is referred. But, for whatever reason, the civil agent may continue on despite firm indications of fraud. From the taxpayer's perspective, he and his advisors may know that there is some fraud potential in a civil audit, but they are aware of the IRM provision requiring a fraud referral upon firm indications of fraud. The continued civil audit activity by the revenue agent may lead the taxpayer and his advisor to believe that the agent is continuing the civil examination rather than sub silentio conducting a criminal investigation. The continued civil audit activity, as they read the IRM, is an indication that the civil audit continues, and they may read that indication as some type of implicit representation by the revenue agent that the criminal investigation has not begun. The problem then arises when the civil agent develops damning admissions in an interview of the taxpayer without giving them any notice that the investigation has turned criminal -- much less the modified Miranda warning. When the taxpayer is thereafter criminally prosecuted, the taxpayer may seek to exclude the damning admissions. In some cases, the mere exclusion of that evidence will knock out the Government's case altogether. Generally, of course, where the Government has violated constitutional rights in the process of gathering evidence in an investigation, Courts will exclude the evidence from a criminal trial. Do these exclusionary concepts extend so far to cover a revenue agent who violates the IRM by continuing to conduct the civil investigation when the revenue agent really is pursuing a criminal investigation? The courts have been troubled by this question. The most extreme case is where the taxpayer or his advisor specifically asks if the investigation has turned criminal and, even though it has (albeit not referred to CI yet because the revenue agent is holding on and conducting his own criminal investigation), the revenue agent denies that it has. That would be an express misrepresentation, and the courts have indicated that suppression may be appropriate for such an express misrepresentation. What about any implicit misrepresentation that a taxpayer or his advisor may infer from continued civil audit activity. The clear trend in the cases is to reject a taxpayer's attempt to exclude the resulting evidence. This is an application of the so-called Caceres rule (United States v. Caceres, 440 U.S. 741 (1979)), which says that the mere failure to follow an internal rule -- here the IRM rule requiring referral upon firm indications of fraud -- does not justify suppression, absent some constitutional consideration. These rules were announced and applied in a recent case from the Sixth Circuit Court of Appeals in United States v. Rutherford, ___ F.3d ___ (6th Cir. 2009). In Rutherford, the court rejected as dicta a prior Sixth Circuit's panel opinion in United States v. McKee, 192 F.3d 535 (6th Cir. 1999), which in a footnote had held out some possibility of suppressing such evidence. The court held that the mere continuance of the civil audit will not alone suffice for exclusion, absent some other indication of the type of coercion that would constitutionally require some type of warning such as Miranda. Rutherford is the most recent in a series of cases dealing with this issue and is must reading for practitioners as an object lesson in how they and their clients behave in a civil audit. Bottom line, taxpayers and advisors who are cooperating in a civil audit need to be specially careful in any case with criminal potential. They should never assume that the matter cannot turn criminal, and certainly should avoid doing anything that would shoot the taxpayer in his own foot through damning admissions carelessly made. And, of course, if there is potential criminal potential against the advisor, this will give the advisor increased incentive be proceed cautiously himself.